Durham: Mary Lou Leathers, 75, died Tuesday, March 19, 2019, at Hock Family Pavilion. She was born in Polk Co, NC the daughter of the late Frederick Rogers Seibert and Pauline Gibbs Seibert. She was predeceased by her husband, J. Wayne Leathers. Ms. Leathers was a member of Rose of Sharon Baptist Church. She was a retired Registered Nurse from the VA Hospital after 30 years of dedicated service. She also enjoyed volunteering for the assisting at the voting polls. 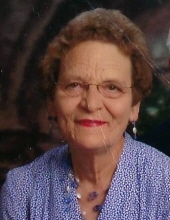 Ms. Leathers is survived by her son, Tim Leathers; daughter, Traci Ashley and husband Bryan; grandchildren, Lauren Leathers, Kimi Leathers, Jason Leathers, Duke Ashley and wife Amanda, Luke Ashley and wife Julie, Lindsay Ashley, Isaac Ashley, Drew Ashley, Jeremiah Ashley, Mason Ashley; 4 great grandchildren; and sister, Marty Seibert. A funeral service will be held at 2 p.m. on Tuesday, March 26th at Rose of Sharon Baptist Church with the Rev. Jeff McCarthy officiating. The family will receive friends prior to the service at the church from 12 to 2 p.m. Burial will follow the services in the church cemetery. In lieu of flowers, the family request that memorial donations be made to Rose of Sharon Baptist Church: 4109 Guess Rd., Durham, NC 27712. To send flowers or a remembrance gift to the family of Mary Lou Leathers, please visit our Tribute Store. "Email Address" would like to share the life celebration of Mary Lou Leathers. Click on the "link" to go to share a favorite memory or leave a condolence message for the family.